Ahead of an exclusive panel at MWC examining the next generation of disruptive content services, Syntonic Co-Founder and CEO Gary Greenbaum here discusses the market opportunities for content solutions that allow consumers to experience the mobile internet beyond their data plan with unrestricted access to apps and content. Today’s basic data plan is built around ‘megabytes’ and ‘gigabytes’ of data, however, the concept of data is fundamentally abstract and confusing for the consumer. What do you actually get with a gigabyte of data? We live in an app-centric economy where consumers recognize value based on the mobile apps and content they consume, rather than the ‘bits and bytes’ sold by mobile operators. Syntonic introduced the Freeway® app to help consumers discover and explore the content they want, and we developed back-end Freeway technologies to support business models and industry solutions that are simultaneously friendly to the interests of operators, value-added service providers, app developers, publishers, OEMs, and advertisers. A number of mobile operators across the globe are experimenting with solutions to ‘zero-rate’ mobile apps to provide consumers unlimited access. However, there’s usually fine print surrounding these consumer offerings, which illustrates incompleteness and restrictions that silently tax the consumers’ data plans. 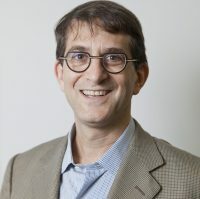 For example, that zero-rated pass to a music app may not zero-rate the video, ads, images, and more from the music app because content delivered through an application typically originates from a set of dynamic source IP addresses that can’t be readily accounted for by the operator’s solution. In practice this means the consumer will have to use some unknown amount of their own data to enjoy the unlimited data they purchased or accepted from a sponsor. If the consumer becomes aware of the leakage against their data plan it comes as an awkward surprise, jeopardizing their loyalty with the operator. There’s little solace from referring the consumer back to the fine print. With Freeway by Syntonic, every component associated within the app or website is data free. Freeway also supports the mobile ecosystem: it doesn’t require any changes to the network, or apps, is available on iPhone and Android smartphones, and is offered to mobile operators as a white-labeled service. Freeway lets consumers experience the mobile internet beyond their data plan. While the recent growth in unlimited data plans has given many U.S. consumers unrestricted access to mobile apps and content, there are many users, especially in emerging markets, that remain on prepaid or postpaid plans with limited access. When users exhaust their data allocation, they have limited choices: seek out a Wi-Fi hotspot, restrict usage, buy additional data, or simply do without. Those are not great options for the consumer. These limitations also impede app developers, publishers, and advertisers that want to reach consumers to build brand awareness, or acquire and engage users to monetize the assets they’ve developed. Freeway provides consumers an alternative path, whereby a sponsor can pay for the consumer’s access to deepen engagement, or the consumer can purchase unlimited data content plans to access the app or content they want. The ability to personalize the mobile experience to gain access to the specific apps and content a consumer wants lets them use their smartphones to watch, listen, share, and play more without having to worry about the complexities of data usage. And it simultaneously enables the mobile ecosystem to deepen engagement. The Freeway platform was designed to be highly flexible and adaptable. It supports any mobile app, service or content, and it’s easily personalized for the consumer. From a business perspective, this means that Syntonic can readily introduce new content access models to market, such as sponsored data and more recently, Freeway Overpass™ – which allows users to directly pay for one day, one week, or one month of unlimited access to specific apps and groups of apps. 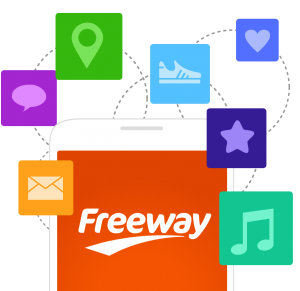 For the consumer, Freeway provides a steady stream of unlimited access to a growing set of new and popular apps with a product experience that is constantly evolving to meet their needs and expectations. The Freeway platform lets app developers strengthen their user relationship; advertisers reach a new audience; and allows mobile operators to move beyond traditional commodity data plans and capture new sources of revenue from the app economy. Moderated by Susan Welsh de Grimaldo of Strategy Analytics, join MEF and Syntonic for an exclusive panel session exploring the next generation of content services and business models to increase operator ARPU, add new subscribers, and strengthen customer retention. Featuring speakers from Syntonic, Tata Communications, Veon and Strategy Analytics, add the session, Beyond voice, text & data to your MWC schedule now.